It's hard to imagine that Chris Nilsen was barely a 17-foot pole vaulter last year. But he was, and here he is now -- competing at the IAAF World U20 Championships as a medal favorite. The national high school record holder enjoyed a meteoric rise this spring that saw him soar to a PB height of 5.60m/18-4.75. He easily advanced to the final in this morning's qualification round in Bydgoszcz, Poland, as did a who's who line-up of the U.S. all-time list and worldwide national junior record holders. The designated auto qualifier to the final was set at 5.35m/17-6.75, but competition ended at 5.20m/17-0.75 as 14 athletes advanced. Nilsen's best mark ranks No. 2 here, behind the Olympic Games-bound Kurtis Marschall of Australia, whose 5.70m/18-8.5 mark and status as Australian senior champion qualified him to compete in Rio. The mark is a national junior record and ranks No. 8 on the world U20 all-time list. "He's a very strong vaulter and he's got a lot of confidence. which is good in the vault because it's such a mental sport," Nilsen said of his Aussie rival. "There's mental pole vaulters who have all these rituals. To see someone like that, well, he's kind of like a role model. He's a year older than me, he's jumping 5.70m and that gives me hope -- we have very similar vaulting form, so I can see that in my future." Nilsen's roommate here is Deakin Volz of Virginia Tech, who just a year ago held the national high school record for the indoor pole vault. The athlete who broke that mark this past winter is here, too, but he's wearing yellow and blue. Armand "Mondo" Duplantis, who is the first and only U.S. prep vaulter to clear 18 feet indoors, lives in Lafayette, La. but holds dual citizenship and competes for Sweden. Duplantis ranks No. 5 on the U20 descending order list with his recent PB of 5.51m/18-1, which set a new Swedish junior record. But Duplantis is actually not even the highest-rated sixteen-year-old here. Emmanouil Karalís of Greece, 21 days older than Duplantis, is the age sixteen world record holder with his PB of 5.55m/18-2.5, which ties for No. 3 on the U20 world rankings with Vladyslav Malykhin of the Ukraine. Both athletes are in Bydgoszcz. In their only meeting last year at the IAAF World Youth Championships, Duplantis beat out the Greek for gold. "I'm an underdog," Duplantis said, "but hopefully I'm gonna take a medal." 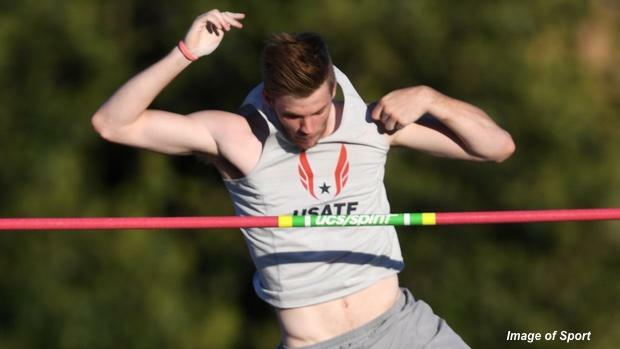 Only one other U20 vaulter in the world has vaulted over 5.50 this year and that's another American, Sean Collins. The University of South Alabama freshman took second at the NCAA Indoor Championships this March but suffered a season-ending injury at his conference championship. Collins' injury has opened the door for the world to hear Volz's comeback story. The USATF Junior Nationals runner-up says a wrist injury last summer hampered his collegiate debut --though he still placed fourth at NCAA Indoors-- and he is just now rounding into the form that saw him break records as an eighteen-year-old. "I'm jumping right up against what I was doing at the end of senior year of high school," he said. "Practices are looking good; I think there might be a PR right around the corner." Volz's 17-10.5 clearance in Clovis to earn a spot here rates No. 6 amongst the athletes in Poland. With so many top-notch competitors looking to score a top-three podium spot, the fire seems right for at least a few records to go down during the final on Saturday night. Andrew Irwin holds the American junior record in the pole vault at 5.72m/18-9.25. Nilsen's high school record ranks No. 6 on that list. Right behind him? Deakin's dad, Dave Volz, who cleared 5.57m/18-3.25 in 1981 for his spot in history.